The Colchester-Milton Rotary Club will once again be supporting Our Military Families this Christmas Season with our project called Operation Polar Express #5. In our previous years, we have provided free Polar Express tickets for the children and the families of our deployed soldiers here in Vermont. First we would like to personally Thank all that supported Operation Polar Express in the previous years and The Vermont Children's Trust Foundation for providing Our Military Train. The Colchester-Milton Rotary Club will once again be supporting Our Military Families this Christmas Season with our project called Operation Polar Express #5. In our previous years, we have provided free Polar Express tickets for the children and the families of our deployed soldiers here in Vermont. 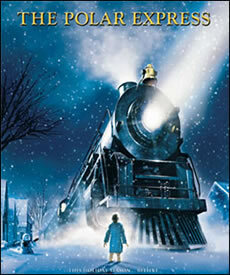 Polar Express has again reserved the noon train on December 14 for our Military Soldier family. Tickets are now $25 and we only have until October 24th to raise the funds! We feel there is a strong need to run this program, not just National Guards, but Army, Navy, Air Force, Marines and Coast Guard. A small gift we can give to the children of our deployed soldiers, who offer the ultimate Sacrifice. The Rotary Club of Colchester-Milton will be most appreciative of any donation you care to make, that will help us grant this magical day for the children. Contributions are tax deductible. Or you can donate on line here.